Hewlett Packard has launched a pair of big smartphone/tablet hybrids, marking a significant return to the mobile market, a move which has been discussed for some time. However, instead of sending them out to sink or swim in the U.S. or Europe, HP has decided the growing Indian market is the place where it can find the most success. So what are we missing? 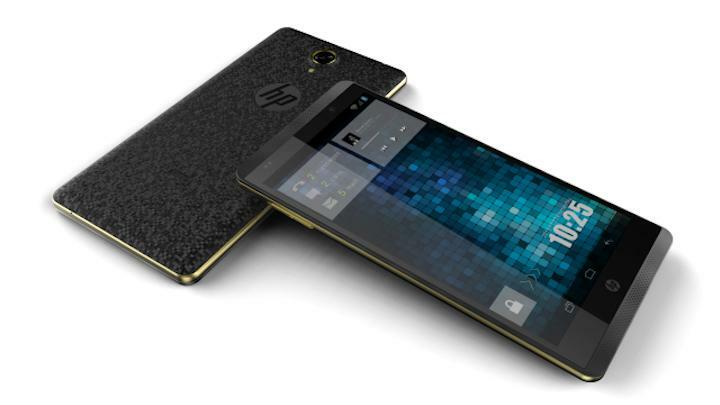 There are two models, although only one can be vaguely described as a smartphone, and it’s named the HP Slate 6 VoiceTab. As you can probably guess, it has a 6-inch display. HP has gone down the same route as Huawei and the new Ascend Mate 2 with the screen, as it has a 1280 x 720 pixel resolution and not a power-hungry 1080p panel. An unnamed quad-core processor powers the Slate 6, which is frustrating as it doesn’t confirm whether HP is continuing its relationship with Intel, or if it has chosen a Qualcomm or MediaTek chip for its new hardware. According to Recode.net, the Slate 6 comes with 16GB of internal memory, plus a MicroSD card slot to add a further 32GB. Other features include a 5-megapixel rear camera with a flash unit, a 2-megapixel video call cam, and a pair of forward-facing stereo speakers. HP’s second device is the Slate 7 VoiceTab, which is technically a tablet, but still has phone capabilities. It comes with a larger 7-inch, 1280 x 800 pixel screen. Both run Android 4.2 Jelly Bean, so they’re far behind the curve even before going on sale, and have dual-SIM slots with 3G connectivity. Pricing and the final spec hasn’t been announced, but HP has released the first images of the Slate 6, which you can see above. Gold trim aside, it’s a good-looking device, with the pixelated design on the rear panel, which HP says is scratch-resistant, reminding us of the Nexus 4. HP’s VP for Consumer PCs, Ron Coughlin, is quoted as saying the company, “Saw a need in India we can meet,” as apparently people there are looking to buy a single device which covers their phone and tablet needs. However, this is perhaps secondary to HP’s strong presence in the country, where it holds the number one spot among PC manufacturers, and the less network-focussed smartphone market. Depending on its success in India, HP could release the Slate 6 and Slate 7 VoiceTab’s elsewhere in the world at a later date. Coughlin told Recode, “I won’t say where on when, but you can expect us to do more in the coming months.” With Mobile World Congress around the corner, news could come soon.